The University of Kentucky College of Arts and Sciences will hold its Hall of Fame Ceremony Oct. 7 to induct four new members — Karl “Kip” Cornett, a 1977 alumnus and founder of Cornett; Sally Mason, a 1972 alumna and former president of the University of Iowa; Robert Ireland, an emeriti faculty of history; and Judith Lesnaw, an emeriti faculty of biology. The college’s Hall of Fame induction ceremony and reception will be held at 5 p.m. Friday, Oct. 7, in the UK Academic Science Building, located at 680 Rose St.
Cornett was born in Hazard, Kentucky, and graduated from UK in 1977. Seven years later, he founded Cornett, an advertising firm that has become one of the leading agencies in the region. During his years at the university, Cornett was president of Theta Chi Fraternity, vice president of the Student Center Board, vice president of the Concert Committee and was highly involved in numerous other campus activities. He was a student of some of Kentucky’s greatest modern writers, such as Gurney Norman and James Baker Hall. 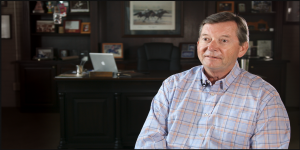 He founded Cornett in the fall of 1984; the company now employs over 60 people and works closely with such brands as Valvoline, Keeneland, Tempur+Sealy, Buffalo Trace Distillery as well as the University of Kentucky, UK Athletics and UK HealthCare. Cornett and his wife are Patterson Fellows and have contributed extensively to the Department of English. He is currently serving as an instructor this fall semester at UK. He is married to UK alumna Ellen Sanger Cornett (’77) and has two children, Charlotte and Davis, along with two step-children Ben Kessinger and Christy Hiler. Mason became the 20th president of the University of Iowa in 2007. Trained as a cell and developmental biologist, she has held tenured faculty positions in biology at the University of Kansas, Purdue University and the University of Iowa. The daughter of an immigrant father and the first child in her family to attend college, Mason received a bachelor’s degree from UK in zoology in 1977, a doctorate in cellular, molecular and developmental biology from the University of Arizona, and an honorary doctorate from UK in 2012. 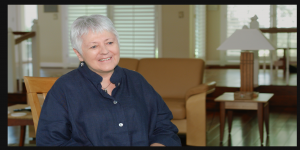 She joined the molecular biosciences faculty at the University of Kansas in 1981 and won appointment as the dean of the College of Liberal Arts and Sciences in 1995. A strong advocate of undergraduate education, she received awards for outstanding undergraduate advising and teaching, and was awarded a prestigious Kemper Teaching Fellowship. Mason served as provost of Purdue University from 2001–2007. Mason is the author of many scientific papers and has obtained a number of research grants from the National Science Foundation and the National Institutes of Health (NIH), among others. She has held leadership positions in numerous organizations, including the Council of Colleges of Arts and Sciences and the National Science Foundation Directorate for Education and Human Resources, among others. A native of Lincoln, Nebraska, and a UK emeritus faculty, Ireland received a bachelor's degree from the University of Nebraska and a juris doctorate from Stanford University. 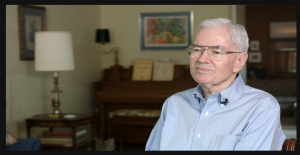 He earned master’s and doctoral degrees in history at the University of Nebraska and joined the UK faculty in 1967. At UK, Ireland taught classes at all levels and served several terms as the history department's director of undergraduate studies and director of undergraduate advising. During his 41 years as UK faculty, Ireland was the recipient of numerous teaching awards, including a three-year term as the Distinguished Teacher of the College of Arts and Sciences, the Chancellor's Award for Outstanding Teaching (Tenured Faculty), the UK Alumni Association Great Teacher Award, several Arts and Sciences Outstanding Teacher Awards, and a Top Ten Teacher selection by graduating classes every year the awards were granted. Ireland has written three books on the history of 19th century Kentucky and a book on the history of the Kentucky constitutions. Ireland received the Thomas D. Clark Award of Excellence in Kentucky History and several Richard H. Collins Awards for scholarly achievement from the Kentucky Historical Society. A Chicago native, Lesnaw completed a bachelor's degree in microbiology, a doctoral degree in biology (virology), and postdoctoral studies at the University of Illinois at Urbana-Champaign. In 1974, she joined the faculty of the School of Biological Sciences at UK, the beginning of a 36-year career of research, teaching and academic service. Lesnaw’s research program combined genetic, biochemical and recombinant DNA technologies toward an understanding of the way in which a group of viruses that includes rabies and Ebola replicates. She was awarded more than $2 million in grants from the NIH and the Department of Defense. The information that emerged from her research contributed to our understanding of complex viral proteins and to the future design of new therapeutic agents. Lesnaw established graduate and undergraduate courses in molecular virology for which students dubbed her “Virus Master,” an honorary title that she holds to this day. Committed to the responsibilities of academic service, Lesnaw was a member of the NIH Medical Biochemistry Study Section, and reviewed for virology and biochemistry journals.